Princess Charlotte is taking after her mom, Kate Middleton, and becoming a budding fashionista. The only daughter of Middleton and Prince William wore some of the most adorable dresses in 2018, and we can't wait to see what she will be wearing this year. 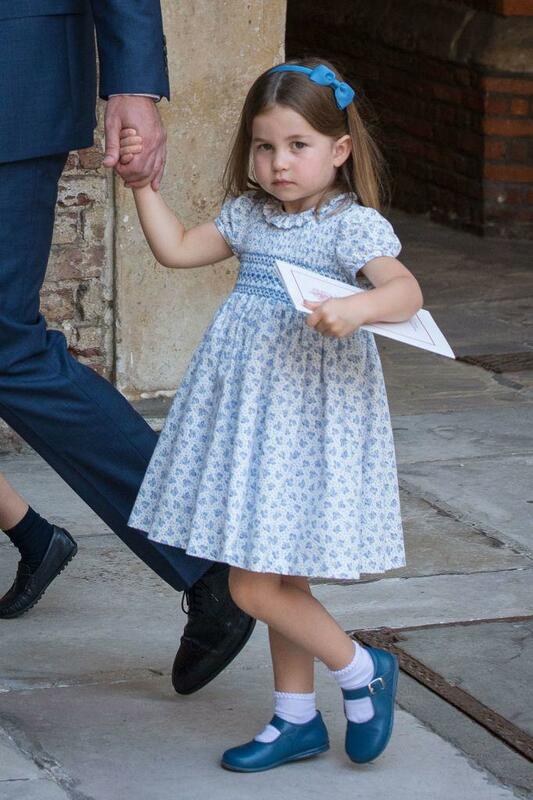 For now, here are Princess Charlotte's loveliest and most adorable outfits last year. Princess Charlotte was a bridesmaid at her uncle Prince Harry and Meghan Markle's royal wedding in May 2018. For the nuptials, she wore one of the six young bridesmaids' dresses designed by Clare Waight Keller of the Givenchy Haute Couture Atelier in Paris. Keller also designed Markle's wedding gown, so it's no surprise that Princess Charlotte's dress has the same timeless purity. The dress, which was reportedly made of ivory silk Radzimir, is high-waisted with short puff sleeves and hand-finished with a double silk ribbon detail tied at the back in a bow. Each bridesmaid dress had pockets and pleated skirts to create an elegant silhouette. 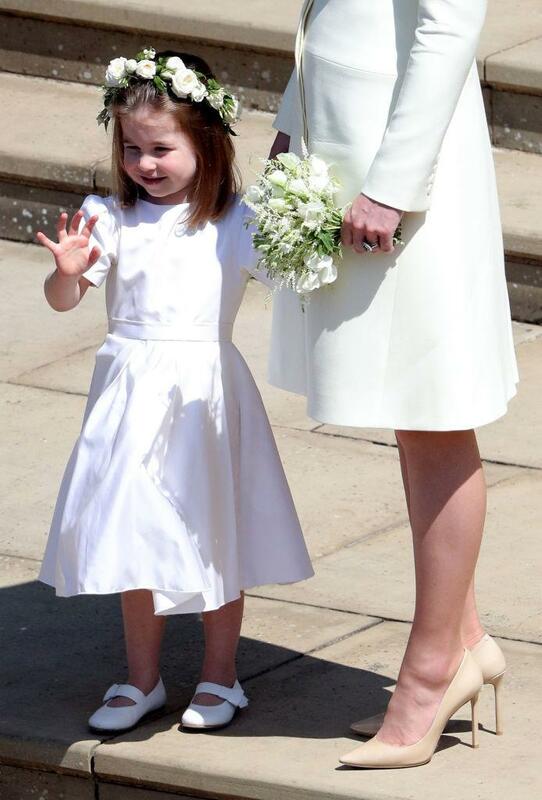 Princess Charlotte wore white leather Aquazurra shoes that were monogrammed with her initials and the date of the wedding. 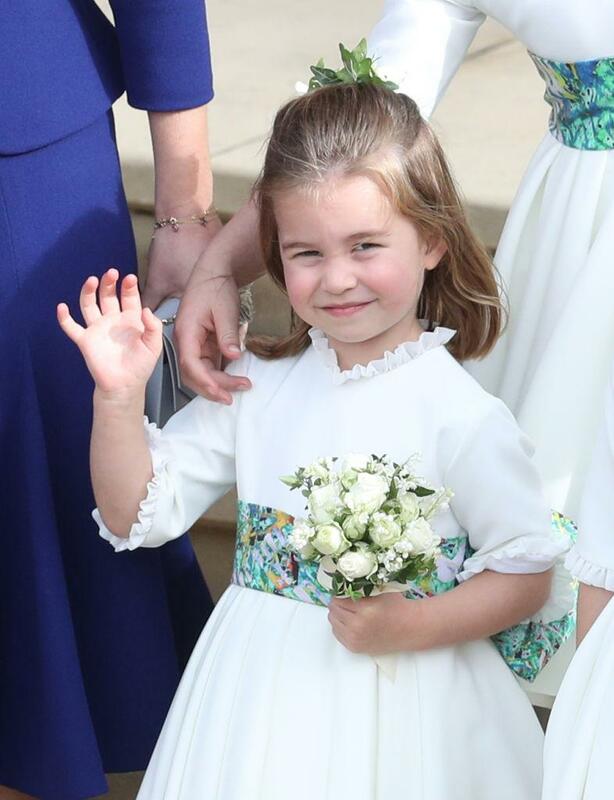 Princess Charlotte also took on the role of bridesmaid at the September 2018 wedding of Sophie Carter, her godmother and one of her mom Kate's closest pals. For the event, Princess Charlotte wore a bespoke dress from Amaia kids, a children's wear boutique in London.  Check out photos of Princess Charlotte's outfit here. Princess Charlotte has been wearing matches outfits with her mom Duchess Kate during the Trooping the Colour for years now, and last year, they coordinated clothes again. Princess Charlotte sported a blue printed dress in a signature smock style for the annual Trooping the Colour. She stood on the balcony at Buckingham Palace with her mom, Prince William and the rest of the royal family, drawing attention to the fact that she and Middleton have matching blue outfits. 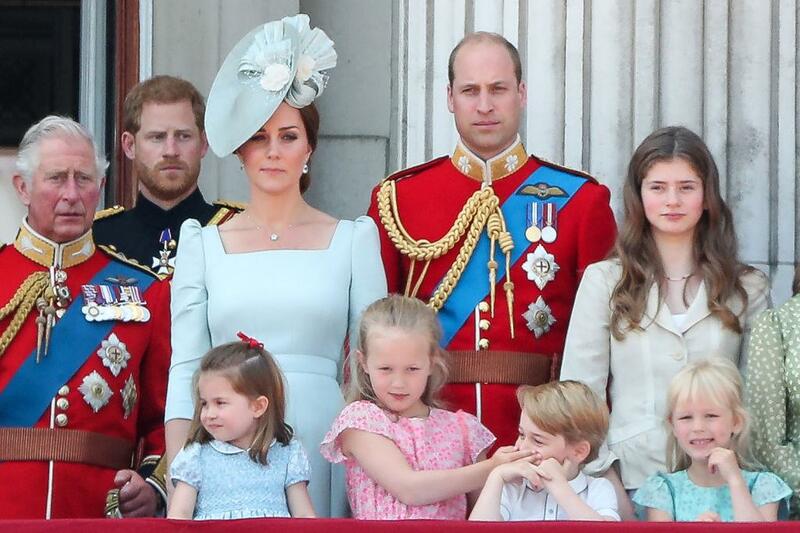 Princess Charlotte had on burgundy accessories, deep red shoes and Condor purl cuff anklet socks. She wore the same shoes and socks when she visited Poland with the rest of the Cambridge family the previous year. Princess Charlotte attended her younger brother Prince Louis' Christening in September last year. For the event, she wore the "Shirley" blue floral-print smock dress from Amaia Kids. She accessorized with a light blue Pepa & Co small bow hairband, Doña Carmen blue "Mercedita Suela" shoes and Condor purl cuff anklet socks. In October, Princess Charlotte and her older brother, Prince George, took on the roles of bridesmaid and pageboy, respectively, during Princess Eugenie and Jack Brooksbank's royal wedding. The bridesmaid dress Princess Charlotte wore was apparently commissioned from Amaia Kids. 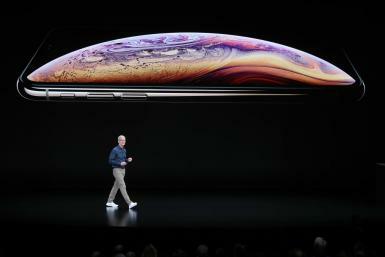 It comes with a sash that matches American artist Mark Bradford's artwork titled "Here," according to Princess Charlotte Style. Princess Charlotte and her fellow bridesmaids completed the outfit with cream tights and Mary Jane-style shoes by Papouelli. Her shoes are apparently in the Sienna style in white leather with a thin strap and goldtone buckle.